SPH loves seared tuna. 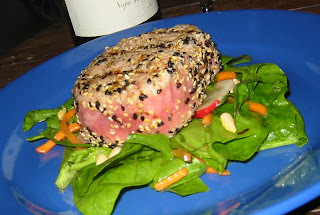 This week we picked up some fresh Yellow Fin Tuna and seared it up for this easy recipe. This probably a dish you won't be serving the little ones, so consider it a treat for a night when you and your special squeeze want to have a date night in. Mix the sesame seeds, salt and pepper in a shallow bowl. Dredge the tuna in the mixture, coating on all sides. On a hot grill or in a hot pan, sear the tuna for 2-3 minutes on each side. Meanwhile, mix your spinach, veggies, almonds and dressing in a bowl. Serve the tuna on top of the salad. 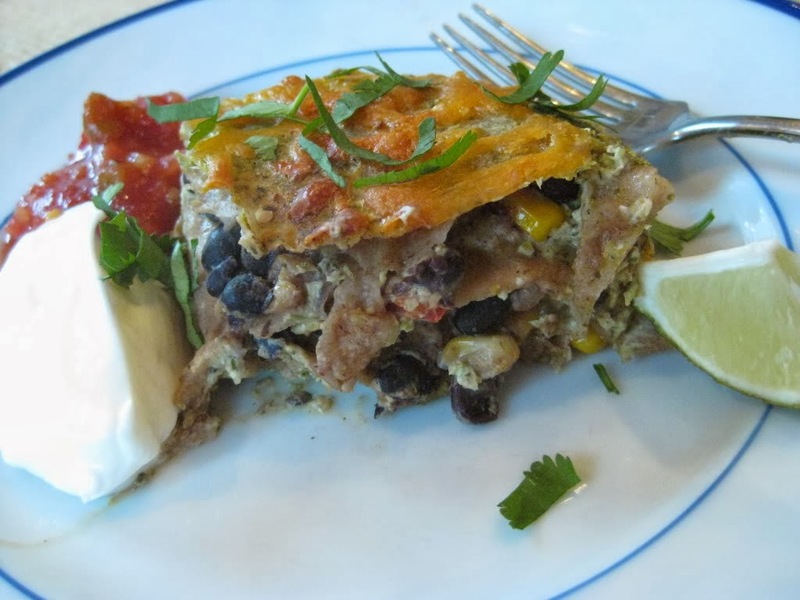 I caution even calling this a "recipe," because it really is more of just a meal "idea." I will say though, it is incredibly delicious. Isn't your mouth watering looking at this picture? The sesame seeds add such a sophisticated touch! We just seared ours and drizzled a bit of balsamic vinegar over the top. We sauteed our spinach and had a tomatoes/mozz with more balsamic as well.